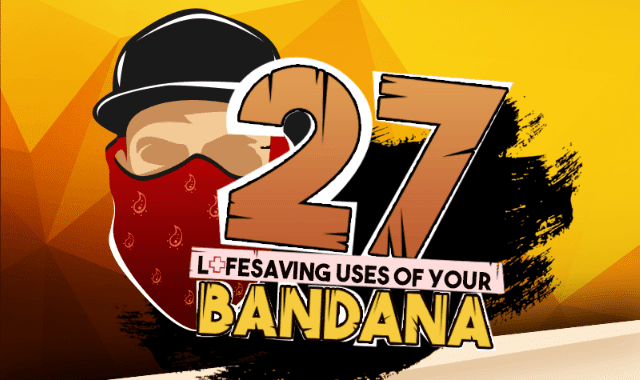 27 Lifesaving Uses Of Your Bandana #Infographic ~ Visualistan '+g+"
What can't you use a bandana for? This ubiquitous and option laden piece of cloth is part of so many survival gear lists. But are we using this simple square to its best advantages? Here are top 27 most interesting uses for this humble swatch of fabric - in no specific order.